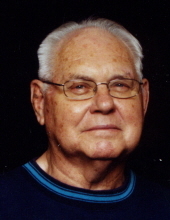 Ronald Edward Bauer, 85, passed away Wednesday, March 27, 2019 in Nampa, Idaho. He was born July 29, 1933 in Riverside, California to Mary Ann Nelson Bauer and George Robert Bauer. His father was in the military so he moved a lot. As a child he went to many schools. He graduated from Chicopee Falls High School in Massachusetts in 1950. He immediately enlisted in the U.S. Army. He was injured in combat in Korea. Ron also served several years in the U. S. Air Force and served in Viet Nam. He retired from the Military in 1972 after 22 years of services. He was a proud American and a true patriot. After his service he worked at a long-haul truck driver for over 25 years. He married Joan Lamb in Riverside, California on December 22, 1961 in a double wedding with her sister Jean and Jack Hargrove. Ron is survived by his wife Joan; three sons: Ron (Allana), Tom and Dan (Andrea); nine grandchildren and one great-granddaughter; sisters-in-law Jean Hargrove and Margaret Lamb; brother-in-law Bill Lamb; and many nieces, nephews; one aunt; cousins; and many friend. Funeral services will be held at 11:30 a.m. Thursday, April 4, at Zeyer Funeral Chapel, 83 N Midland Blvd in Nampa with burial at 2:00 p.m. at the Idaho State Veterans Cemetery, 10100 Horseshoe Bend Road in Boise. Condolences may be expressed at ZeyerFuneralChapel.com. In lieu of flowers please donate to your favorite charity. "Email Address" would like to share the life celebration of Ronald Edward Bauer. Click on the "link" to go to share a favorite memory or leave a condolence message for the family.